Upper-ocean biogeochemical cycles and POC export fluxes. Studies of scavenging and particle cycling processes using man-made and naturally occurring radionuclides. Geochemical studies of the Black Sea using Chernobyl radiotracers. Use of radium isotopes and other tracers of submarine groundwater discharge. Lab Technician, Scripps Institute of Oceanography, part-time, September 1980 to August 1981. M.I.T. Research Assistantship, Massachusetts Institute of Technology, Fall 1981 to Spring 1983. Graduate Research Assistant, Woods Hole Oceanographic Institution, Spring 1983 to Fall 1986. Post-Doctoral Investigator, Woods Hole Oceanographic Institution, September 1986 to February 1987. Visiting Investigator, Woods Hole Oceanographic Institution, February 1987 to September 1988. Assistant Scientist, Woods Hole Oceanographic Institution, September 1988 to September 1992. Adjunct Associate Scientist, Bermuda Biological Station for Research, Inc., January 1992 to January 1996. Associate Scientist, Woods Hole Oceanographic Institution, September 1992 to March 1996. Associate Scientist w/Tenure, Woods Hole Oceanographic Institution, March 1996 to September 2000. Executive Scientist, US JGOFS Planning and Data Management Office, Dec. 1998 to October 2005. 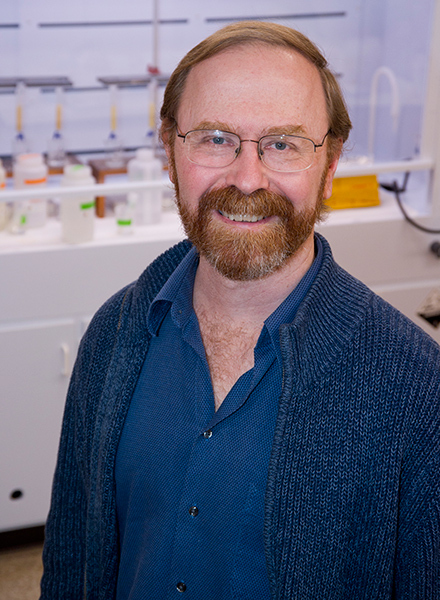 Department Chair, Marine Chemistry and Geochemistry, Woods Hole Oceanographic Institution, May 2003 to September 2007. Senior Scientist, Woods Hole Oceanographic Institution, September 2000 to present. Director, Center for Marine and Environmental Radioactivity, January 2013 to present. Ken Buesseler is a marine radiochemist who studies the fate and distribution of radioactive elements in the ocean. Their radioactive decay properties can tell us something about time-scales, or how quickly processes take place. Applications include studies of the ocean carbon cycle where the naturally occurring isotopes of thorium tell us how quickly and how much carbon is carried on sinking particles from the sun lite surface ocean through the ocean twilight zone to the deep sea. His lab has also been active in response to radioactivity released from disasters such as the impact of radioactivity released from the Fuksuhima Dai-ichi nuclear power plant, and from earlier sources such as Chernobyl or atomic weapons testing at the Marshall Islands.